Actress Karisma Kapoor is emotional about sharing screen space with the legendary Sridevi — even though in a cameo for Shah Rukh Khan’s “Zero”, which released today the 21st of December Friday. “Thank you Shah Rukh and team ‘Zero’ for giving me the opportunity to share screen space (even if it was for a few minutes) with the legend and my all time favourite Sridevi, we miss you. Special moments,” Karisma wrote on Instagram along with a photograph of herself with Sridevi from the “Zero” set. 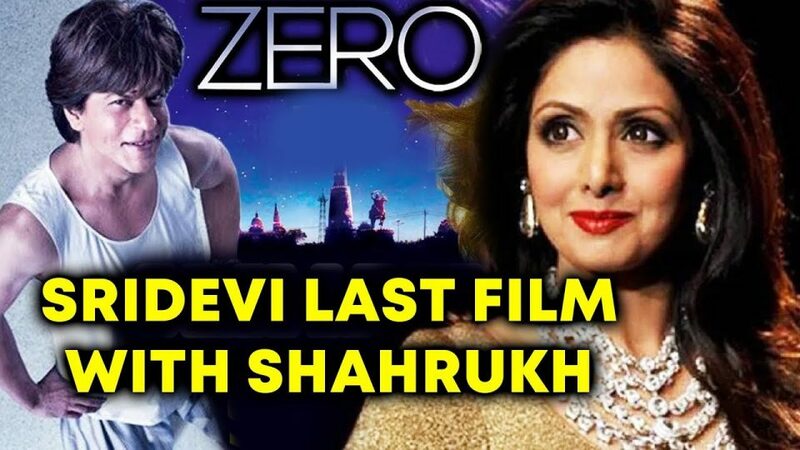 “Zero” was the last film of Sridevi, who died aged 54 in February this year. Also featuring actresses Anushka Sharma and Katrina Kaif in the lead roles, “Zero” is directed by Anand L. Rai and has cameos by multiple Bollywood celebrities, including R. Madhavan and Abhay Deol. ‘Zero’ is the story about pursuing dreams and loving beyond limits. वीडियो: मल्लिका की फिल्म ‘मर्डर’ से हटाया गया था यह इंटिमेट सीन! Farhan Akhtar Unveils Lucknow Central Trailer!